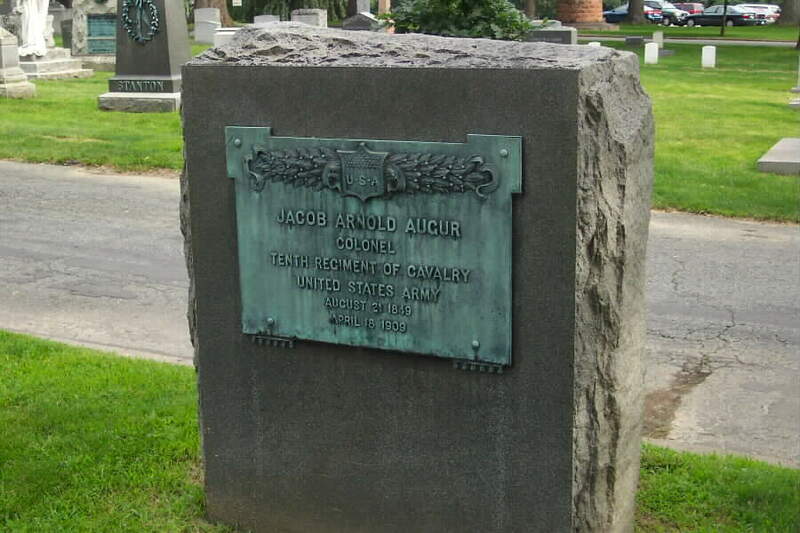 Born at Fort Niagara, New York, August 21, 1849, the son of Christopher Columbus and Elizabeth Arnold Augur, he graduated from West Point in 1869. 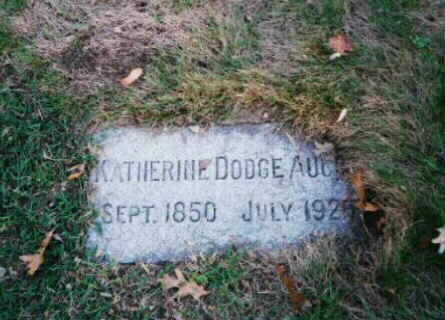 He married Katherine J. Dodge, November 14, 1872. He was commissioned Second Lieutenant, 5th U.S. Cavalry, June 15, 1869, and was promoted through the grades to Colonel, 10th U.S. Cavalry, June 9, 1902. He was employed chiefly on frontier service until 1880. He served with the Republican River Expedition, 1869, and engaged in the affair on Prairie Dog Creek and in the Ute Expedition during the Fall and Winter of 1879. He was an instructor at West Point, 1883-87 and returned to frontier duty in Indian Territory (now Oklahoma) and Texas, 1887-97. 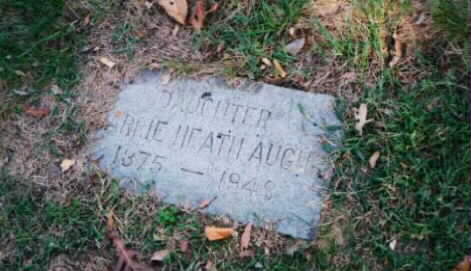 He was an instructor at the Cavalry-Infantry School, 1897-99 and 1901-02. He served in the Philippines during the Insurrection there, 1899-1901, in Nebraska, 1902-07 and back in the Philippines in 1907. 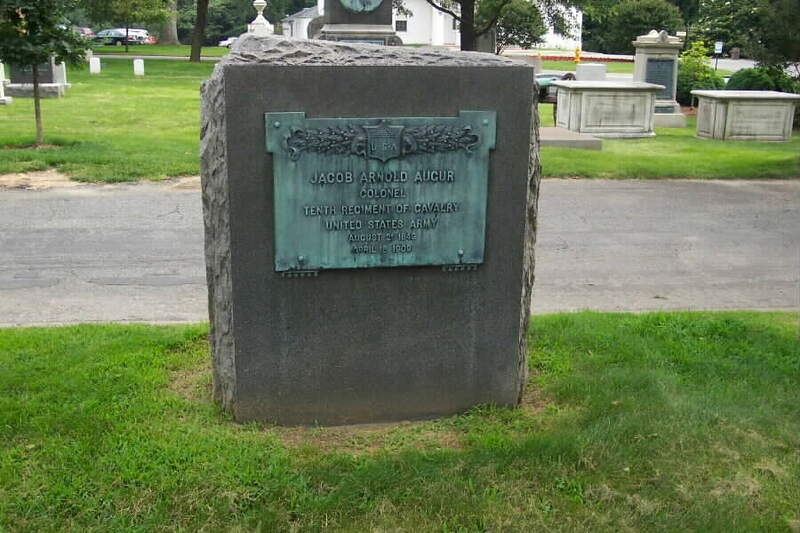 He died on April 18, 1909 and was buried with his parents in Section 1 of Arlington National Cemetery. WASHINGTON, April 18, 1909 - Announcement is made at the War Department that a telegram had been received from Manila this morning informing the Department of the sudden death from apoplexy of Colonel J. A. Augur, Tenth Cavalry, now stationed at Fort McKinley, nearManila. Colonel Augur, who was a sonof General Augur ofCivil War fame, had just been selected by President Taft for promotion to the rank of Brigadier General in theArmy. In view of the death of Colonel Augur, the President has directed the immediate promotion of Colonel Marion P, Maus, Twentieth Infantry, who had been selected for promotionnext January. 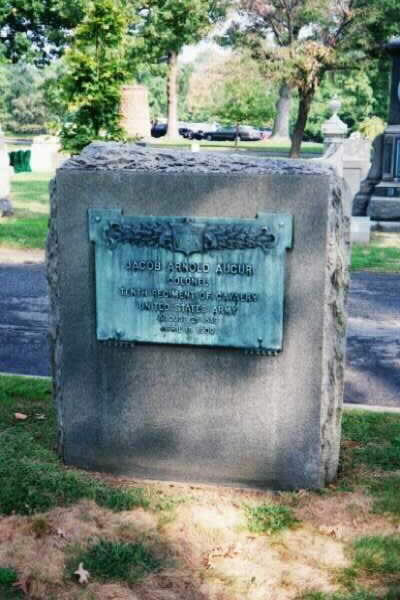 His brother, Colon Augur, Captain, United States Army, is buried in the family gravesite in Section 1 of Arlington National Cemetery.